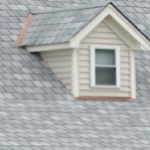 Roofing – Midwest Siding Supply Inc.
Did you know that 4 out of 5 roofs are covered with asphalt shingles. Why? Because they are long lasting, durable, attractive and easy to maintain. Give us a call to learn about the features and benefits of a new asphalt roof today. Your roof is the first thing people notice when looking at your home. And it keeps your family safe from the elements. Yet it is often the most neglected area of the home. If your shingles are badly worn, if you have missing shingles or they are curling up, it is probably time for a new roof. 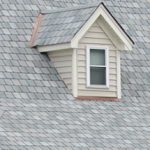 The investment made in a new roof shouldn’t be taken lightly. This is why we stock the Pinnacle Pristine shingle from Atlas. Not only are these shingles architecturally beautiful, but they offer a lifetime warranty against algae growth and streaking. So your new roof will remain beautiful throughout the years. Their warranty is backed by 3M which utilizes ScotchGard Protection to ensure the ultimate defense against algae. from traditional aluminum vents to rolled and solid ridgevent and power vents.